A fantastic introduction to everything prehistoric, from the Big Bang to the discovery of fire. 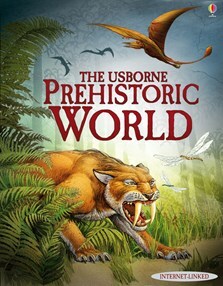 Enter the lost world of dinosaurs, explore prehistoric seas and follow the rise of the first people. Packed full of facts and colourful illustrations, alongside charts, maps and reconstructions of early human life. Includes a prehistoric timeline and links to exciting websites.